For 65 years now, the Peanuts comic strip by Charles M. Schulz has captured the imagination of millions of readers worldwide, giving the type of surprisingly mature and resourceful voice to children that no other comic strip would probably dare to back then. Most people can still recognise the characters in an instant, whether they be the eternally-bald Charlie Brown or the white beagle Snoopy and so on, and the general timelessness of the comic strip and its morals still ring true to the younger generation even to this day. Given that this is an adaptation of a long-running comic strip, one that never had such a concrete storyline, the one they give to this film is deliberately slight and flexible; simply, the anxious and consistently unlucky Charlie Brown (voiced by Noah Schnapp) harbours a crush for the Little Red-Haired Girl (Francesca Capaldi), and tries to better his social standing over the school year in order to impress her. That’s really it in regards to the main storyline, which allows for episodic focuses ranging from book reports to school dances to getting a perfect score on a test; it’s refreshingly grounded material, especially for a big-budget animated film from a major studio, and it’s easy to relate to Charlie Brown’s struggles as, at some point surely, we’ve all been in those situations where we feel the world is against us. For obvious reasons, director Steve Martino (who to date has also made the only decent Dr. Seuss movie with Horton Hears A Who!) and co-writers Craig and Bryan Schulz – Charles’ son and grandson respectively – decided that wasn’t enough to entertain the kids for an hour and a half, so as a side-plot Snoopy (voiced through archival recordings of the late Bill Melendez, who provided his voice in the old cartoons) imagines himself a World War 1 Flying Ace and takes to the skies in his doghouse bi-plane (which we never see the bottom of, in a clever eye for detail) in pursuit of the Red Baron and a female dog named Fifi (voiced, a little pointlessly, by Kristin Chenowith). This will certainly be what grabs the children’s attention more than perhaps Charlie Brown’s problems, but if that is indeed the case then at least those scenes are fun enough in their own right. All throughout, though, there is some truly inspired animation by Blue Sky which manages to replicate the 2D designs and drawings that Schulz originally cooked up and place them within a more modern CG environment. Even the frame rate is slowed down slightly so that it is closer to 2D animation, similar to a trick The LEGO Movie pulled by slowing down its frame rate to make it look more like a stop-motion animation than the CG wonder that it was. Some animation purists will argue why the animators just didn’t make the film using traditional animation if they’re going to this much effort, but when the CG is this stylised and looks absolutely fantastic then it’s not a major issue to be cautious about. The animation isn’t the only thing preserving Schulz’s legacy without tarnishing it; by having writers and producers Bryan and Craig Schulz on board, direct relatives of the late artist, the film dedicates itself to making sure that the characters and environments stay exactly as the creator intended. No modern technology is seen anywhere in this film, instead using more timeless objects like corded telephones and typewriters instead of computers and mobile phones like the comic strip did, nobody starts cracking wise about current pop culture trends like twerking or the Kardashians (thank God), a nice jazz score as with the previous specials dominates the soundtrack instead of pop songs by artists nobody will remember in five years’ time (save for a track by Meghan Trainor and instrumental from a Flo Rida song, but even then they’re very minimal and honestly not that bad) and no bodily function gags are even suggested, as can be the case with lowest-common-denominator children’s “entertainment”. Everything feels timeless, as it should be, and we can be certain that this will be a rare family film that holds up for years to come. The sweet nature of the film is completely charming, and because these are memorable and likable characters you’re with them every step of the way. It’s also very funny, thanks to the influence of producer Paul Feig’s natural talent for slapstick humour that actually works (even though there can be a bit too much of it at times), and it’s bound to get children as well as adults laughing whenever it pops up on screen. 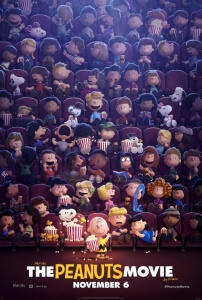 This is, very simply, the best possible movie that could have been made about Schulz and his ageless imagination, and as the final shot of the film reminds us that this is, indeed, Peanuts by Schulz. 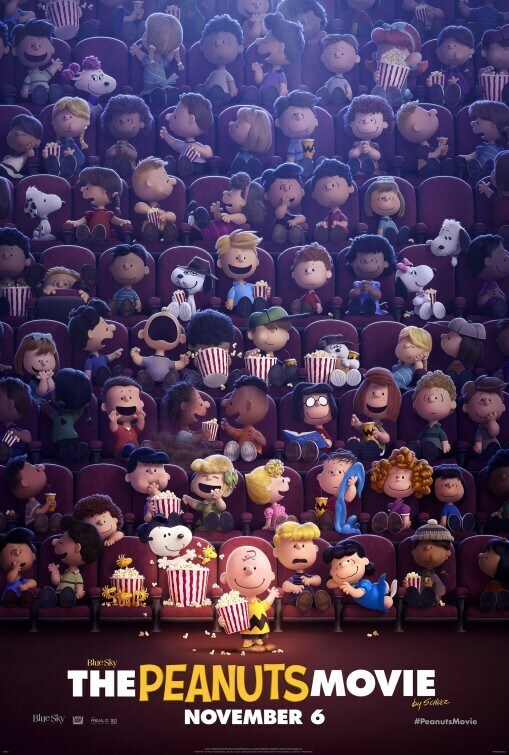 Snoopy and Charlie Brown: The Peanuts Movie is a delightful adaptation of Charles M. Schulz’s comic strip which manages to stay true to the original morals and characters, while also boasting some fantastic animation and genuine warm-heartedness that should make this an essential family film to watch this Christmas.